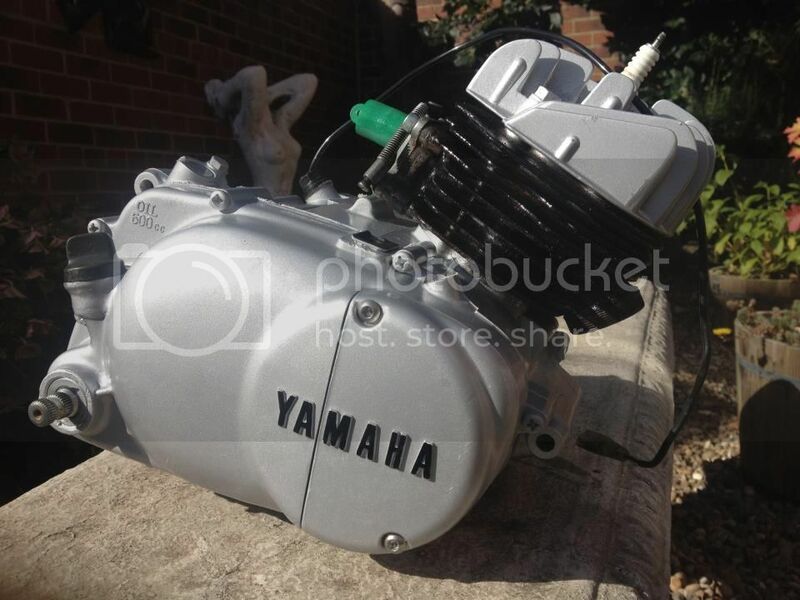 Here at yamaha ty80 we can restore your own bike or you can buy one of our fully restored bikes. 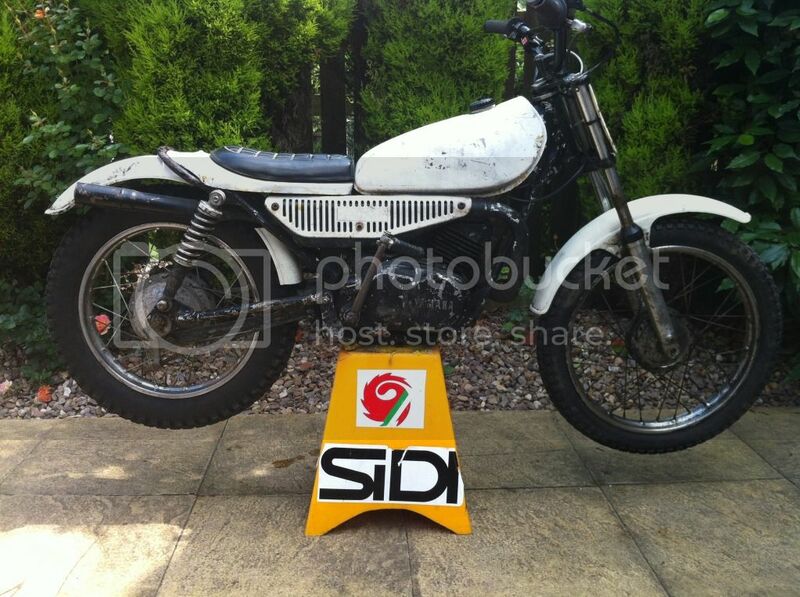 Ty 80's are always available for sale, just contact us for a list of bikes for sale, and prices. Bikes we buy are all fully restored to the highest specification, every ty80 is fully stripped down to the last nut and bolt. Every part is checked and replaced if needed. All parts that are replaced are original parts if available. 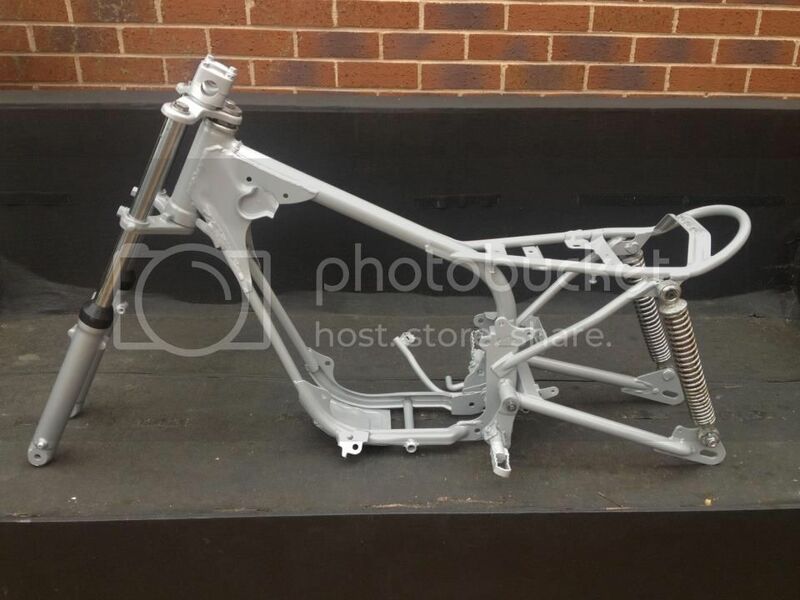 Frames, swinging arms, head stock, footrests, tank, seat base, exhaust, exhaust guard and other small parts are sand blasted and powder coated to the desired colour. Latest project, has new mudguards, spokes, hubs, tyres, chain and sprokets, still has oil pump. Seat is A1 condition with no cracks or rips. Very original bike. Yamaha ty80, latest restoration. Click on emages to inlarge. Photos below of next projects. 3X Ty80's and Mk1 Whitehawk with Mk11 upgrades. Very special project on the go at moment, clue is in photo. Will keep you posted on progress. Photos below of next project, Ty 50. Photos below of before and after. Photo below project for James Huddesfield. Before and after photos. The bike is then put back together with all parts greased and lubricated. Brake shoes and drums are cleaned and shoes replaced if needed. Gearbox oil and fork oil is replaced along with any seals that need replacing or that are leaking. Wheel bearings and head stock bearings are checked and greased before being reassembled. Any parts put back on bike are cleaned, checked and greased before being fitted. Then all other parts are fitted, tank, seat, mudguards and handle bar assembly. New graffics are fitted to every bike along with new grips and any cables that need replacing. All Ty80's are rebuilt in original colours for the year of the bike. All frames are silver, with white and red, or white and yellow tanks, seat bases and exhaust heat shield. Photos below are of Mk111 Whitehawk Ty80 we are restoring at the moment, more photos posted soon. We can also do special order bikes in any colour you like. Frames, wheels, tanks, seat bases and exhaust guards. These can be straight colours or if you like, blinged up colours to make bike special to you and a one off. There may be a extra charge for one off bikes. We are in the process of building a very special monoshock Ty80 at the moment. We will keep you posted on how this project is going, by posting photos. Prices for Ty80's £995. Whitehawk Ty80's (when available £1495). Special one off bikes, please contact with requirements and for a price.